Simply place your object in a mold, mix and pour Acrylic Plastic over it. In an hour it is hard and your object is firmly embedded in a clear, stable plastic. For high-gloss finish, it can be polished with a soft cloth. Mold making and casting can be done in two hours. 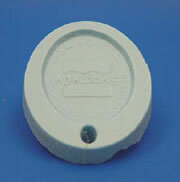 Acrylic Plastic Casting is a thermosetting acrylic-polymer plastic with excellent clarity and stabile characteristics. The kit is available with 1 pint of resin and hardener, or 1 quart of resin and hardener. The Crystal Clear™ Series of polyurethane resins were designed for applications that require absolute clarity. These are low viscosity resins that cure at room temperature with negligible shrinkage to a hard plastic. Cured products are UV resistant and are not brittle. 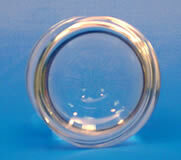 Applications include potting, encapsulating, making prototype models, and lenses, object duplicating etc. CAUTION: This product is NOT for home use, for research and industrial use only. Per the requests of our customers we are introducing a series of room temperature cured silicones that are used In the labs. Ordering: Blue Silicone Rubber comes as a kit consisting of 1 gal (9 lb) silicone base and 1 pt (1lb) blue catalyst. This silicone cures at room temperature with no shrinkage and offers a unique water clear see through rubber with excellent tear strength, chemical and heat resistance. NOTE: This clear silicone will cause rubber to yellow when applying post curing. 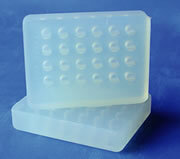 Ordering: Clear silicone comes as a kit of 1gallon (9 lb) silicone A and 1 pt (.9lb) curing agent B.